Online giant faces another major fine. The European Union has hit Google with another antitrust fine in the latest salvo in their battle. Yesterday's €1.49bn ($1.71bn) levy comes as punishment for Google's alleged blocking of rival online search advertisers displaying search ads for a ten year period between 2006 and 2016. Google allows every website to embed its search engine function within it. If a visitor uses this feature, he / she will get both search results and search ads. The European Commission describes this practice as Google being an 'intermediary'. In 2006, Google started forcing publishers to exclude rival ads (think Microsoft or Yahoo) from search ads, and from 2009, publishers had to leave the most profitable space on their search result page for Google's ads. There was also a minimum number of Google adverts publishers had to accept. To top it off, they had to receive written permission from Google, before changing anything around displaying ads. 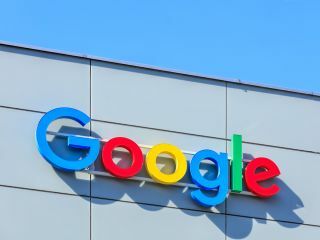 "Google's rivals, they were unable to grow, and to compete, and as a result of that, website owners had limited options for selling advertising space on those websites, and were forced solely to rely on Google," said EC commissioner Margrethe Vestager. Google's global affairs head, Kent Walker, said: "We've always agreed that healthy, thriving markets are in everyone's interest. We've already made a wide range of changes to our products to address the Commission's concerns. Over the next few months, we'll be making further updates to give more visibility to rivals in Europe." According to the BBC, Google has changed its practices now, giving third parties more leeway to displaying competing search ads.